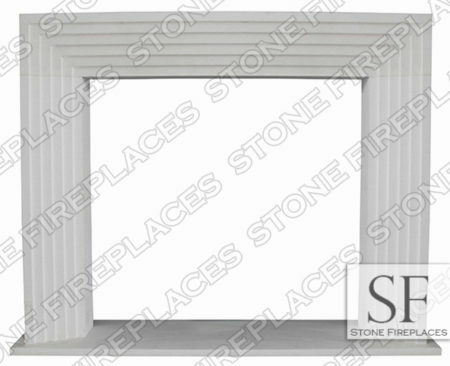 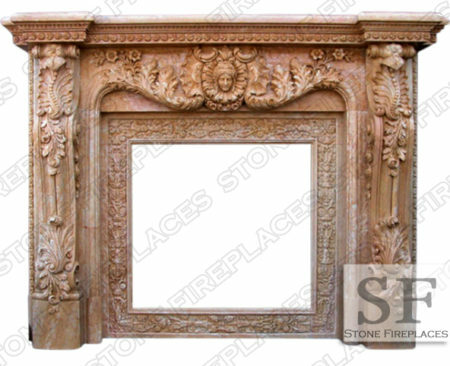 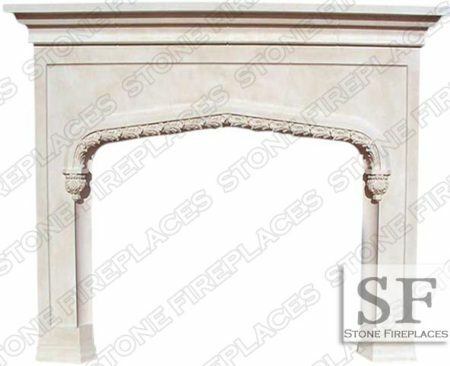 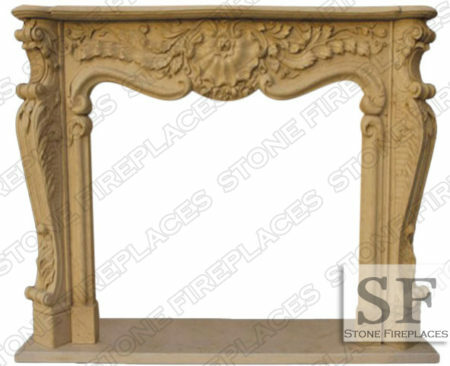 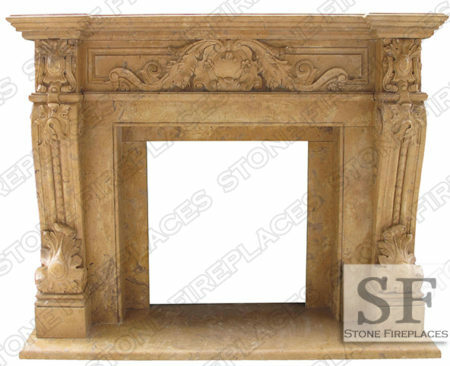 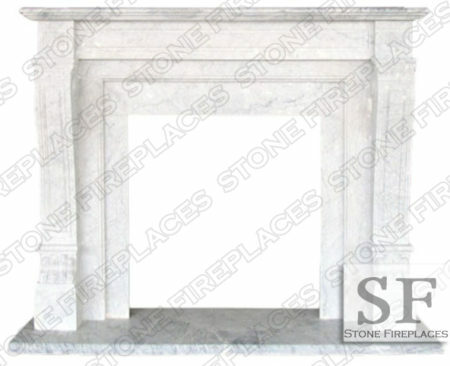 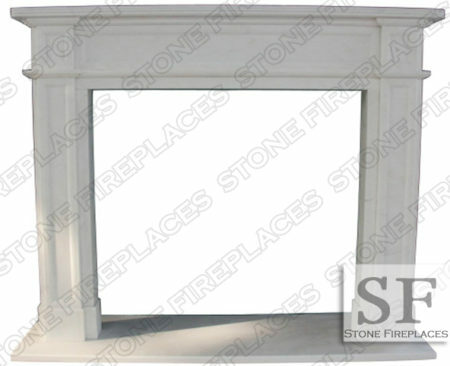 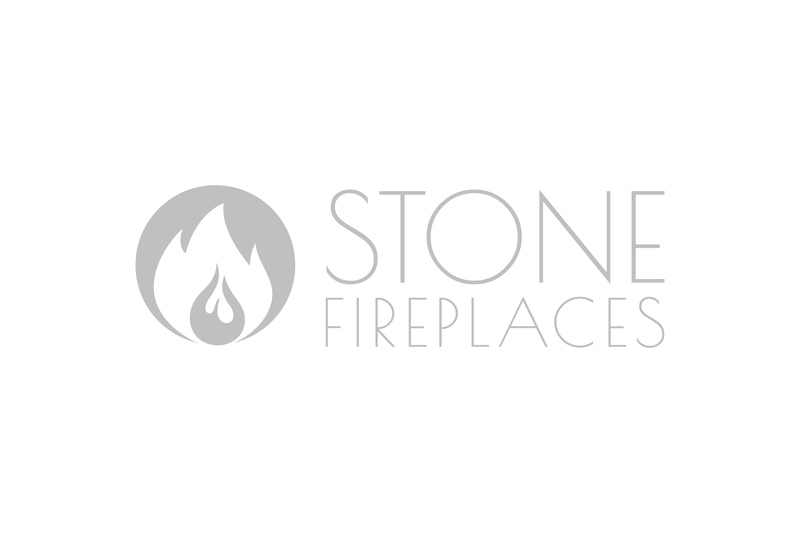 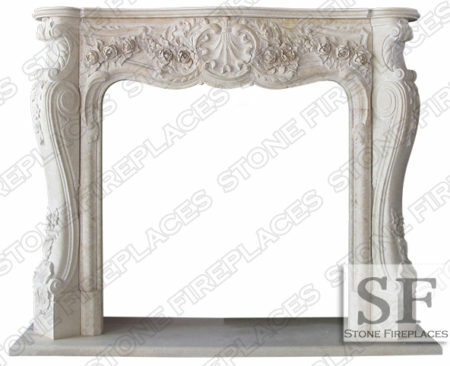 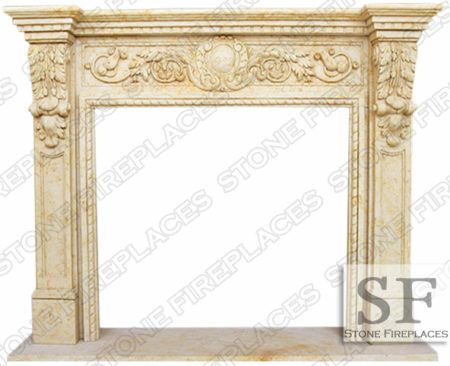 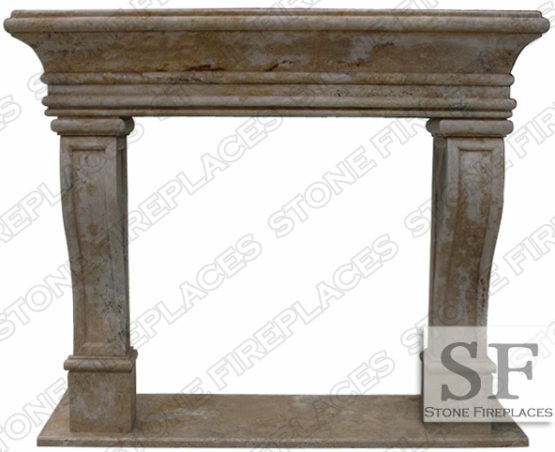 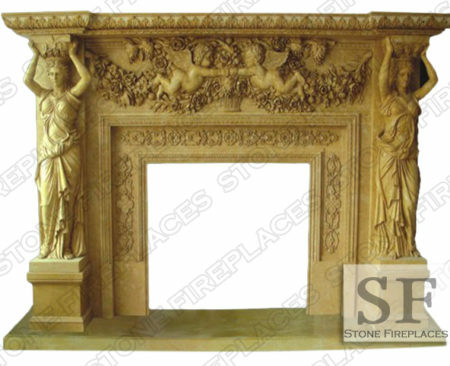 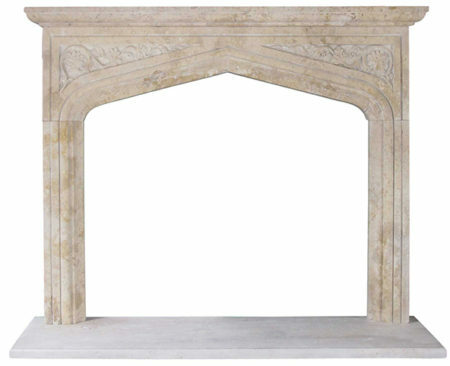 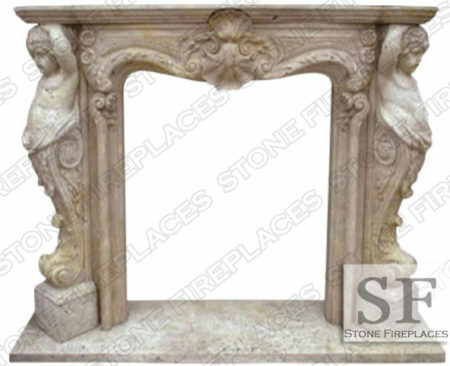 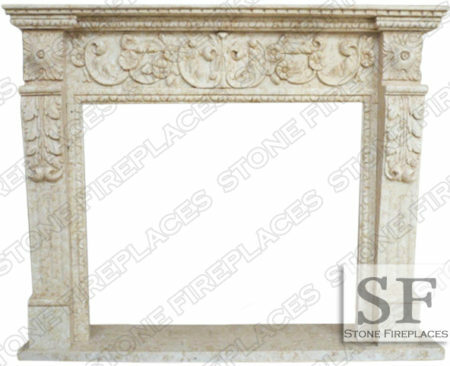 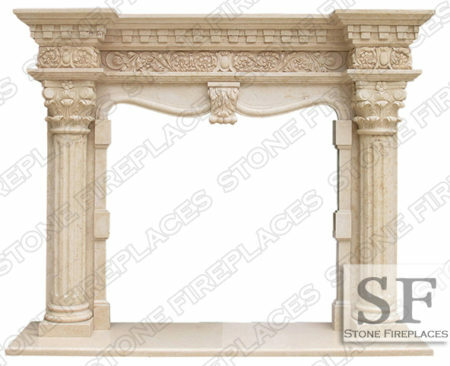 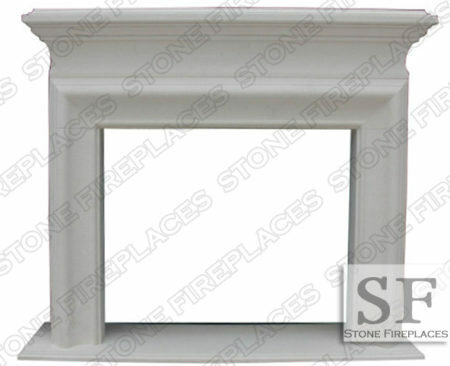 The widely popular Leon fireplace model in the rustic travertine look. 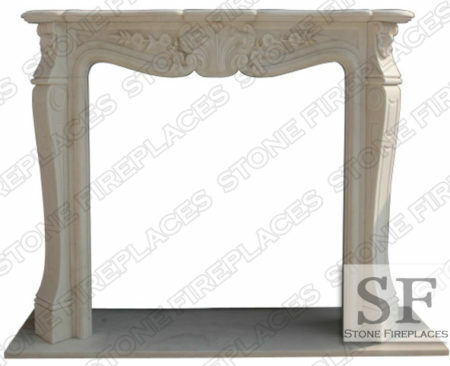 A classic French design that works great in contemporary and traditional spaces. 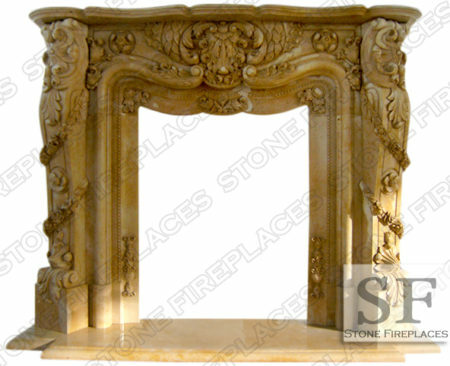 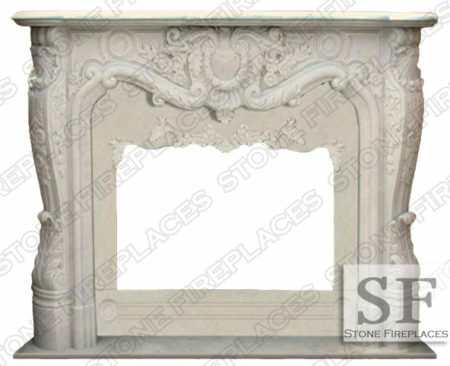 This too like the of the other French designs is what most transitional fireplaces get their design from. 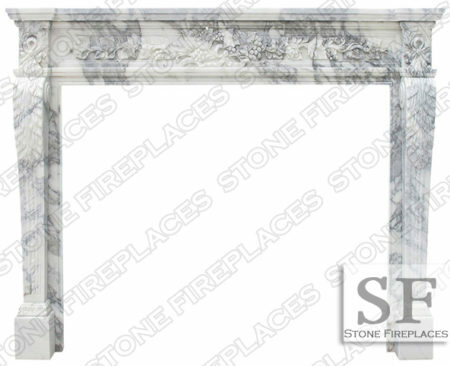 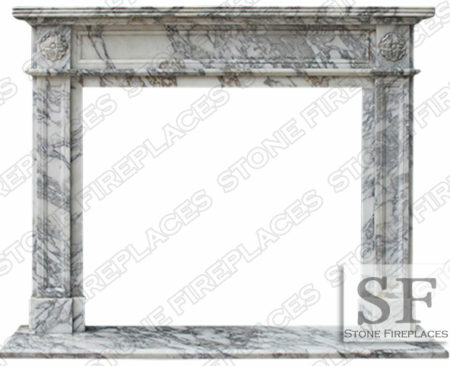 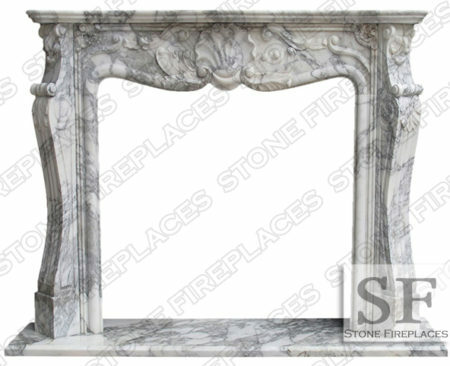 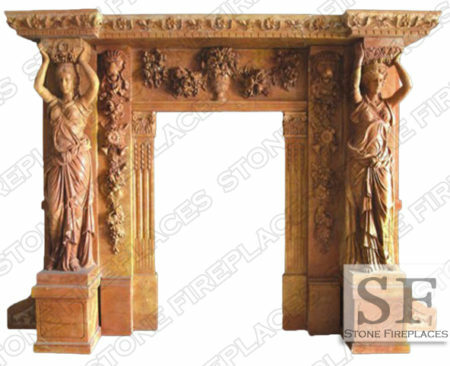 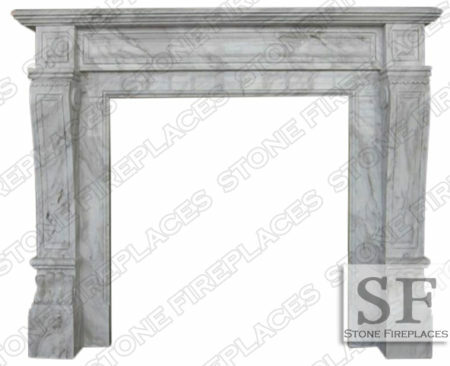 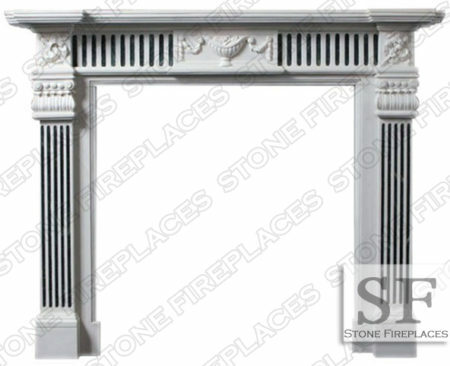 The Leon is a traditional mantel and has been around for a long time. 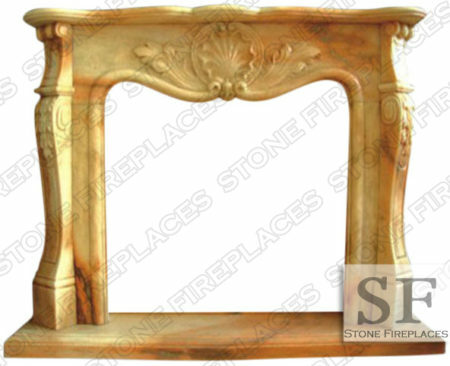 It's qualities has lead the new transitional design that you see in most homes today. 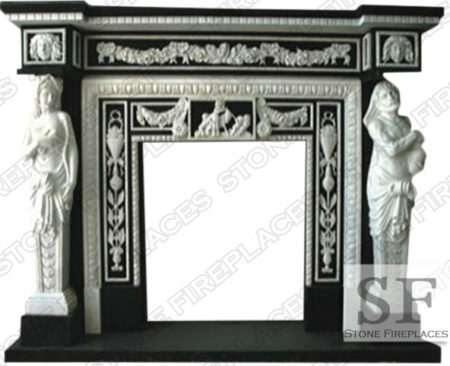 It seamlessly marries the past traditions with modern decor. 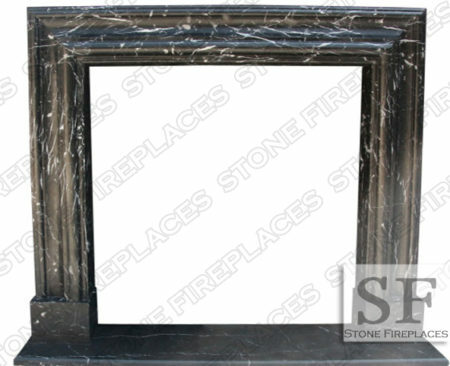 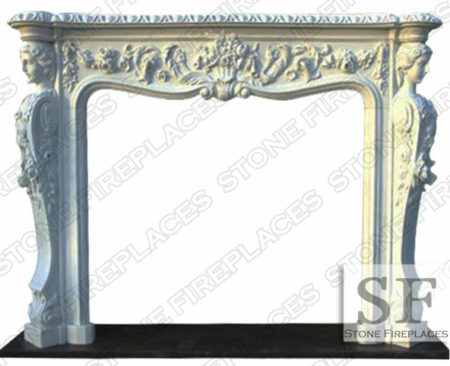 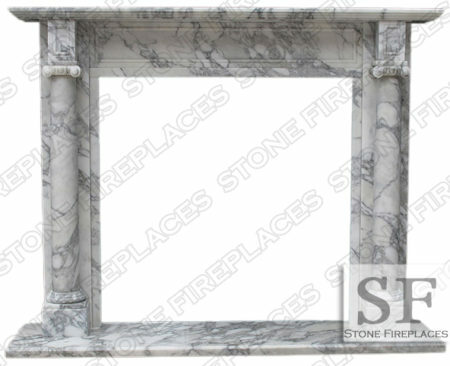 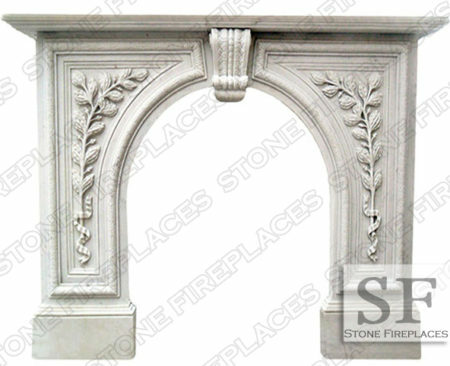 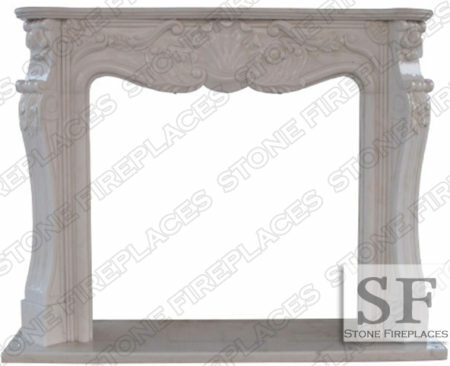 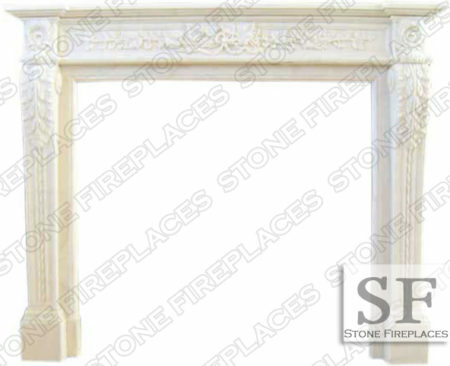 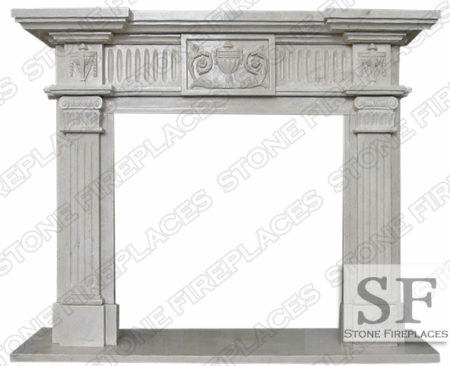 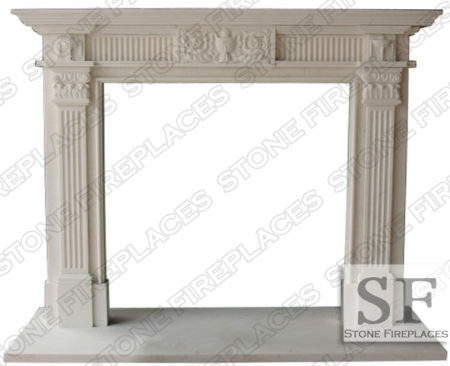 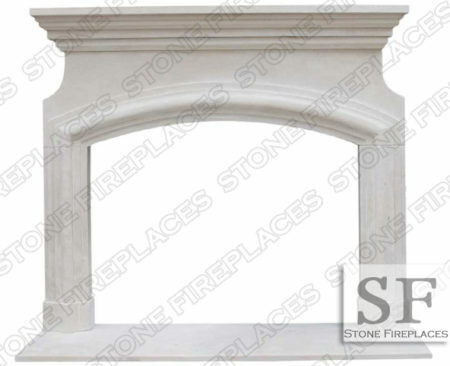 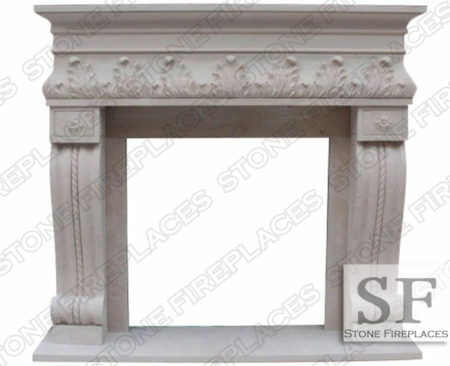 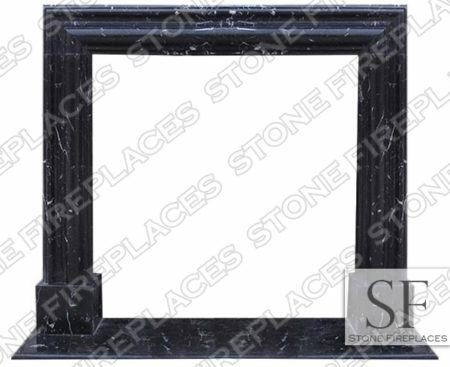 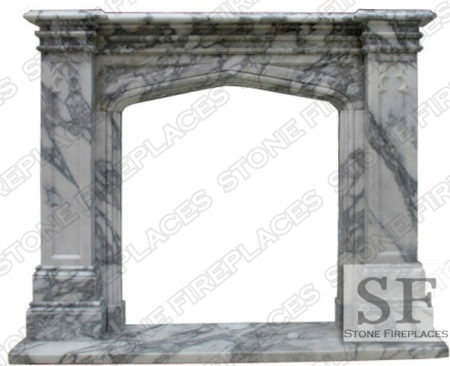 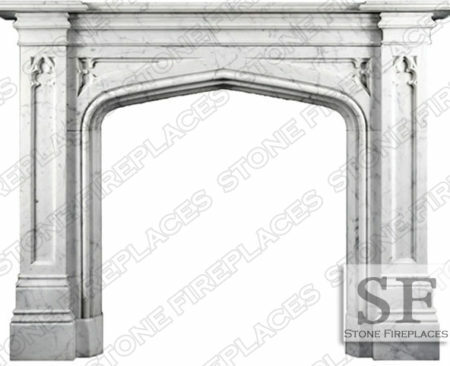 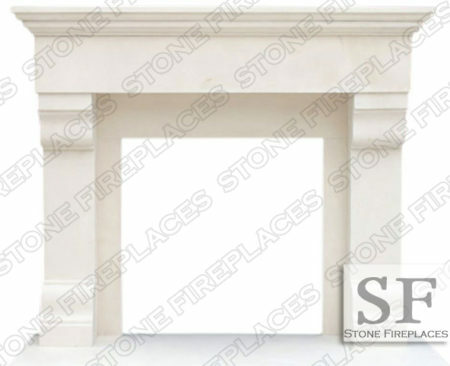 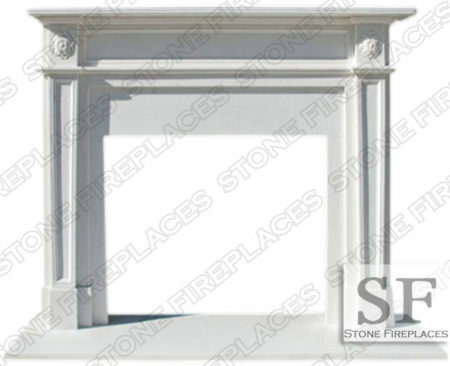 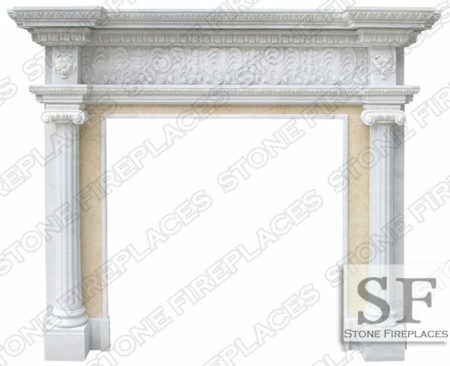 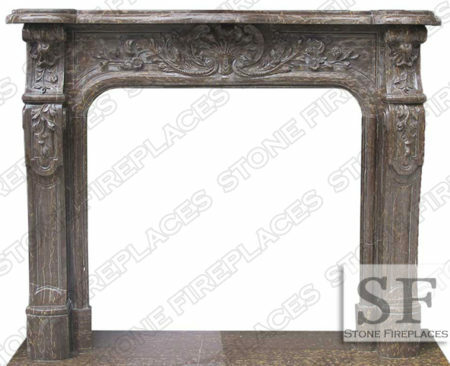 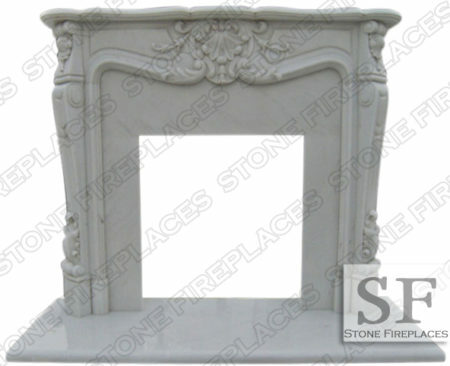 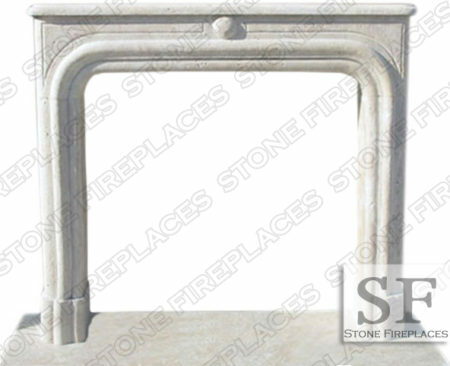 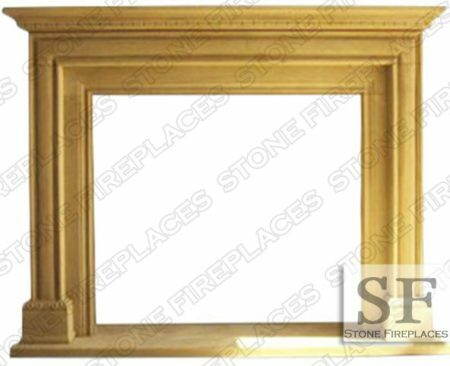 We frequently manufacture the Leon mantel from cast stone. 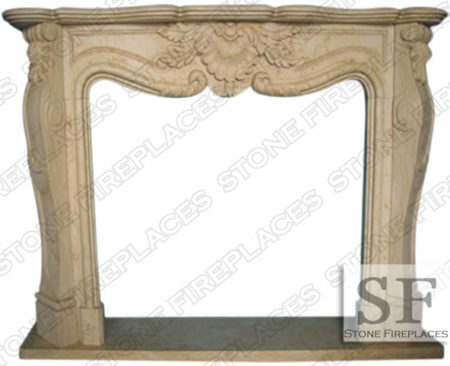 The cast stone can be made to look like travertine. 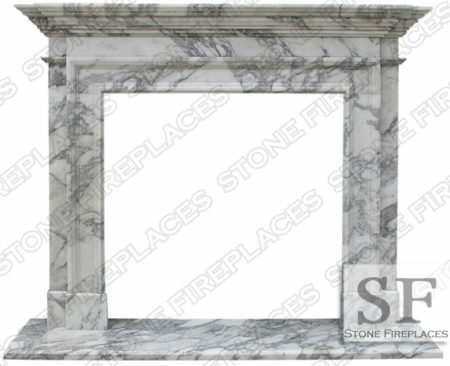 A heavy mantel shelf sits atop the paneled surround legs. 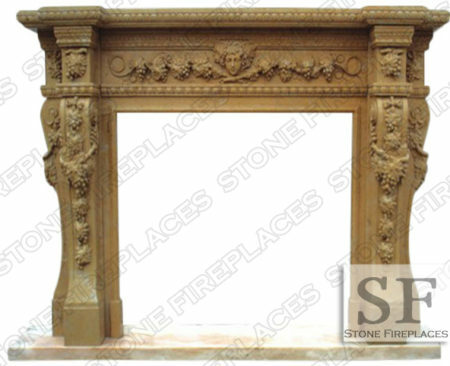 The mantel shelf resembles a crown with the flared sides. 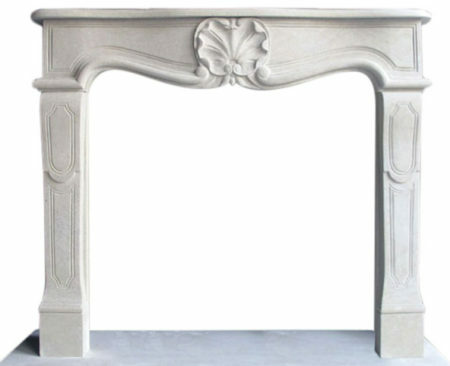 This model can be seen in our Chicago showroom. 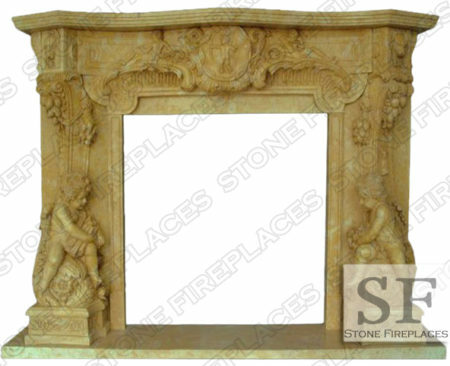 Typical Dimensions: 65″Width x 54″Height This can be made to order.